On a cool November day in Cary, fans from Siler City cheered wildly as their hometown team, the Jets, scored a second goal to become 2004’s North Carolina Class A high school soccer champions. The team from Jordan-Matthews High School secured its place in history: the first predominately Latino sports team to win a statewide sports championship in North Carolina. 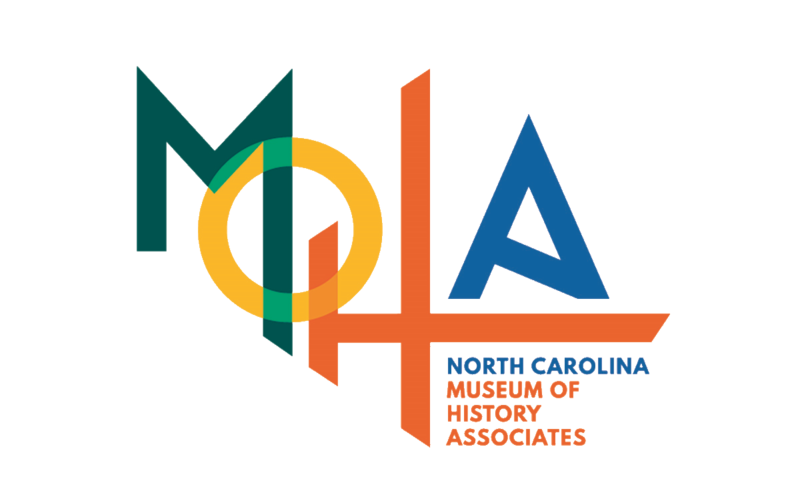 The lobby one-case exhibit Los Jets: Playing for the American Dream at the N.C. Museum of History in Raleigh recounts the extraordinary story of Latino students who triumphed over adversity and of Coach Paul Cuadros, who believed in them. The bilingual exhibit features English and Spanish descriptions. Discover how the Jets, or “Los Jets,” provided a long-hoped-for sense of belonging for its members. While adjusting to a new country, the Latino youth faced similar challenges, from struggling with English to feeling alienated at school, and the team gave them hope. Los Jets: Playing for the American Dream will run through Sunday, Oct. 2, and admission is free. The small exhibit showcases about 15 items that include the Jets’ 2004 Men’s Soccer Class A Championship trophy, the championship ball, and uniforms. Engaging photographs follow the team’s journey. Siler City’s Latino boys loved soccer, but repeated petitions to start a soccer team at Jordan-Matthews High School were denied. However, in 1999 investigative journalist Paul Cuadros’ research on Latino migration to the Southeast brought him to Siler City. 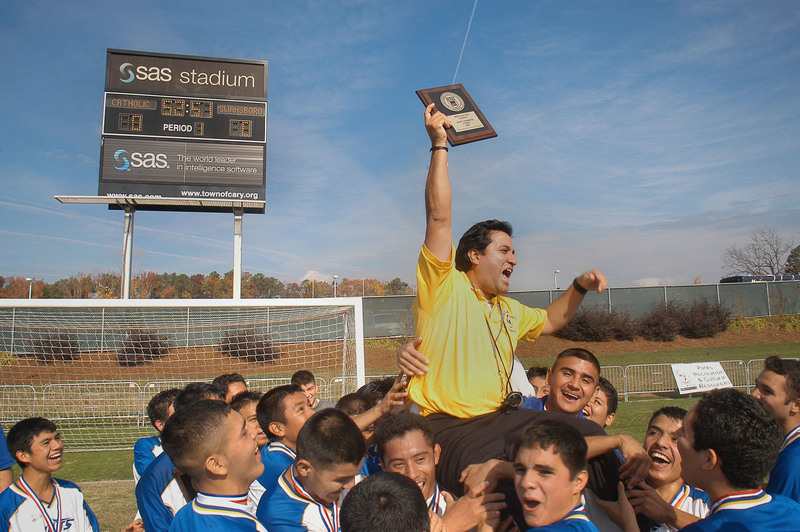 In the early 2000s Cuadros worked with Jordan-Matthews and town leaders to start a men’s soccer team. He volunteered as head coach, and the Jets hit the playing field in 2002. For the Latino boys, the Jets meant more than just a team — it became a family. In Los Jets: Playing for the American Dream, museum visitors will see a steel chain that players gripped in unity before each game. Each link represented a team member, but they faced their opponents as one. The Jets received widespread recognition after winning the championship. In 2006 Cuadros published his account of the team’s formation and victory. His book A Home on the Field: How One Championship Soccer Team Inspires Hope for the Revival of Small Town America led to the documentary series “Los Jets,” co-executive produced by Jennifer Lopez and Lynda Lopez for NUVOtv. The team left an enduring legacy in the community. Today’s players, still coached by Cuadros, are coming of age in a society more accepting of diversity, and they foresee greater opportunities than their predecessors. A women’s soccer team now also represents Jordan-Matthews High School. 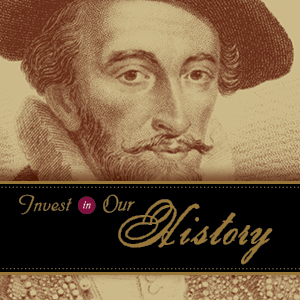 The exhibit and its related programs are supported by the National Endowment for the Humanities and the American Library Association. The Jets’ coach, Paul Cuadros, is an associate professor in the School of Media and Journalism at UNC-Chapel Hill and is an award-winning investigative reporter and author. His book A Home on the Field tells the story of the Jets and of Siler City as it copes and struggles with Latino immigration. Cuadros also serves as the chair of the UNC Scholars’ Latino Initiative, a college mentoring and preparatory program that serves six local high schools with large Latino student populations. He is the co-founder of the Carolina Latina/o Collaborative and the Latina/o Caucus, both at UNC. For the past 20 years, Cuadros has focused his reporting on issues of race and poverty in America. His work has appeared in The New York Times, The Huffington Post, Time magazine and other national and local publications.